Yesterday I slept in....like really slept in....like I woke up and it was 9:30 in the morning. What!! That never happens. I had woke up super early with a HUGE headache, took some medicine and went back to bed. Those sweet red heads of mine must have known I was exhausted because they quietly red and watched brain pop videos, while Mama slept. When I finally did get up for the day, I decided we needed to make a sweet treat together. I decided on sugar cookie bars. Have you all tried these before? Oh my gosh! They are so dang delicious. The perfect treat! 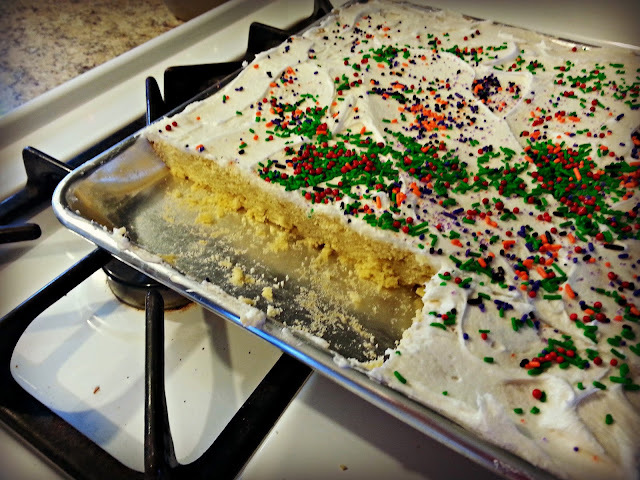 This recipe is one of my favorite cookie bar recipes. Enjoy! Preheat oven to 375. Grease a cookie sheet with edge (jelly roll pan). In a mixing bowl, cream together butter and sugar until fluffy. Add eggs one at a time. Stir in vanilla. Next add dry ingredients.. Mix until just combined. Spread onto baking sheet. Use hands to really spread out the dough. Spray your hands with some cooking spray to prevent sticking. Bake for 15-20 minutes, until golden around the edges. 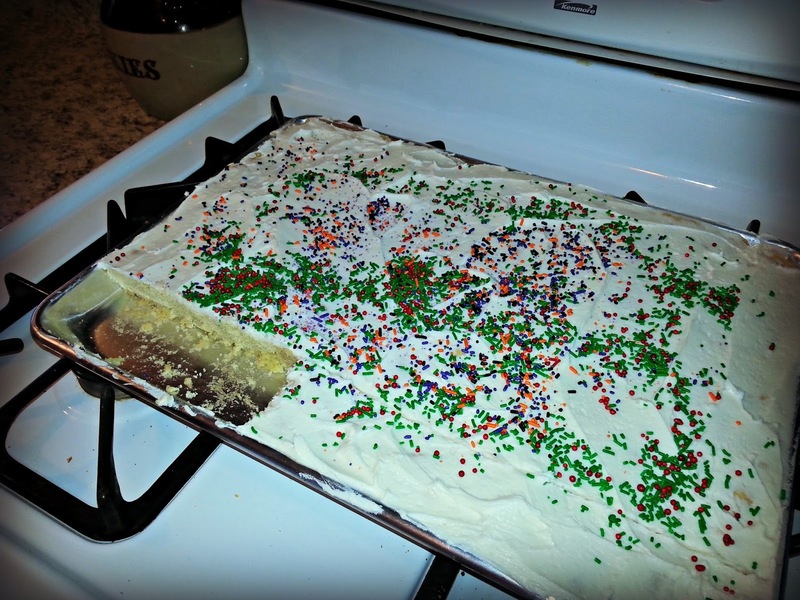 Once cooled, spread with icing and sprinkles. combine all ingredients until well blended. Add more or less powdered sugar, according to desired consistency.